I said recently that I do not like to repeat myself. Well not very much. I have written extensively about why I don’t dig and good and bad reasons why others do. 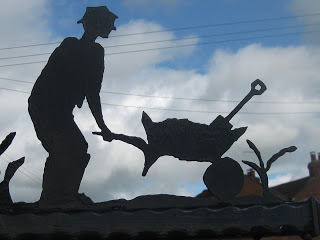 People might come to my website to read a man who calls himself a no dig gardener and find very little about no tillage. My purpose today is to tell you where to go - in the nicest possible way by following links! “The garden must have been dug when you started?" Some visitors barely accept that I don’t need to turn soil over and have no concept that when I made the garden I did not need to dig it at all. Actually that is a small lie. In limited places paper, wood and stones have been buried and to attain levels some soil has needed to be shifted. For instance previous owners did the typical amateur thing in cutting out borders lifting away turf or perennial weed creating sunken ill drained litter-collecting formal rectangular hollows. The best soil was in piles littered everywhere even in the field over the wall. At least it had not been thrown away in the wretched green bin! I cannot guarantee that previous gardeners never dug but sixteen years ago the overgrown weedy mess had not been cultivated for years. I agree the true amateur would be unable to make any inroads into making a garden without seriously disturbing the soil. Those who are more knowledgable but who misguidedly reject spraying with glyphosate also find it very difficult to avoid cultivation. Although it is not impossible, I doubt that they would manage on my own ‘industrial’ scale. All the glyphosate stuff can be referenced from my theme column. I recently posted about starting out on Cathi’s overgrown grass/nettle/ground elder verge using glyphosate with no soil disturbance at all. I have previously written how digging or ploughing or rotavation speeds up converting an overgrown patch to something visually pristine. But at a cost of future perennial weed problems. Not to mention that digging is very hard work. 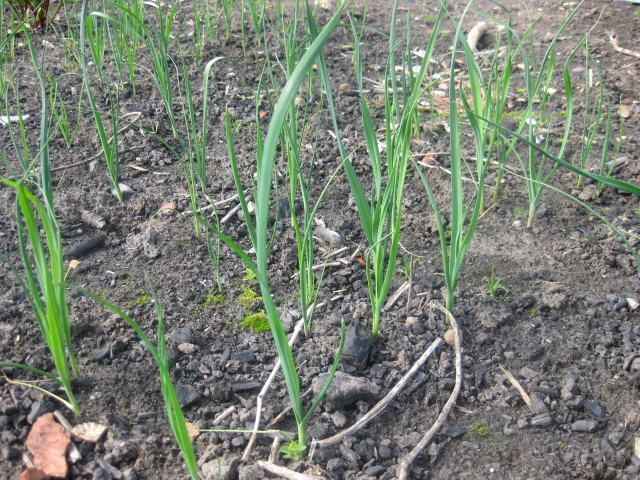 No dig has least to offer on sandy soil. Because sand has a coarse texture you will cause little damage if you walk on it or work it (perish the thought) when wet. As long as you don’t drive over it with a bulldozer. 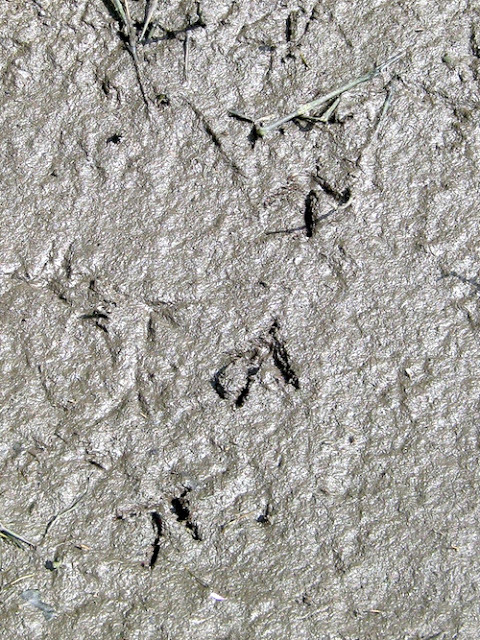 My own sandy soil has a peculiar property, it is hydrophobic and repels water when dry. Worse from my own point of view as a no digger if a border is raised and uncultivated loosening the surface actually aids rain penetration. I confess an argument for digging! I have written before about how I prevent my own water running away. My fine sandy soil is actually very water retentive if thoroughly wetted. It ‘wets up’ nicely when the soil is contained in a rimmed container. No dig has most to offer on heavy clay. 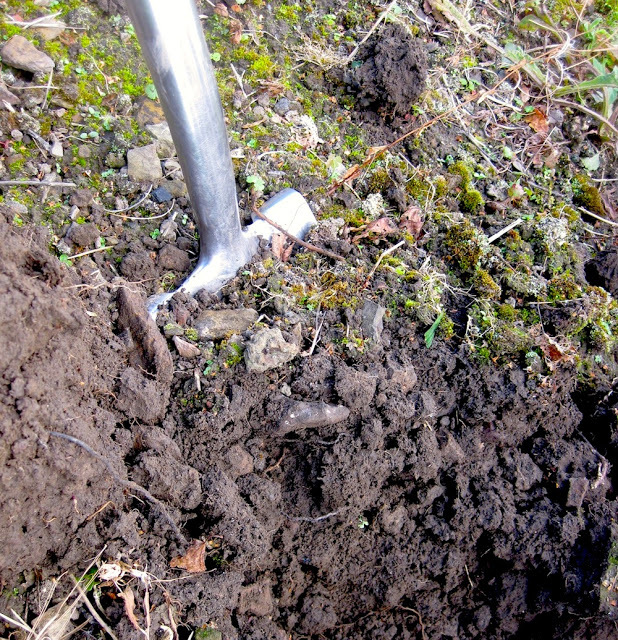 Clay soil brings all its problems when it is regularly cultivated and an endless cycle of breaking up exposing it to the slaking action of rain (not to mention the oxidisation away of binding organic matter) and subsequent rock hard setting or in wet weather the formation of doughy clarty mess. 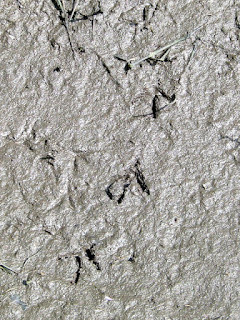 The problems are caused by cultivation which leaves structure exposed to damaging rain separating out fine clay particles red in tooth and claw. I have compared this to a junkie getting his fix but going nowhere. I once developed several very large borders for my friend Jackie Barber. She lived in Pottery Lane and neighbour Roley made the finest clay pots from their extremely sticky clay. I just sprayed out the borders in her grassy paddock and in this case mulched with her copious supply of mushroom compost. Thanks to Jackie’s superb design skills and lovely plants from her nursery you have never seen better borders. Other than very small planting holes there was no soil disturbance at all. After a year or three the soil developed a beautiful black honeycombed crumbly structure. You could walk on the border and even plant after heavy rain. I do sometimes go a little far in deriding veg growers on clay soil who dig. 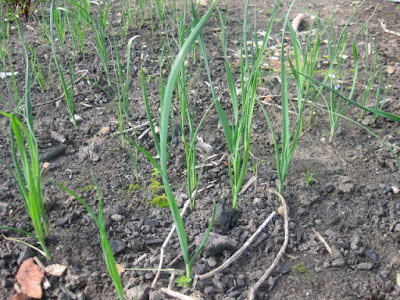 Where allotment holders really go wrong is where plants are exposed to a soil regularly degraded of organic matter by excessive cultivation and dubious removal of vegetation and not adding very generous amounts of bulky manure, compost and recycled green. 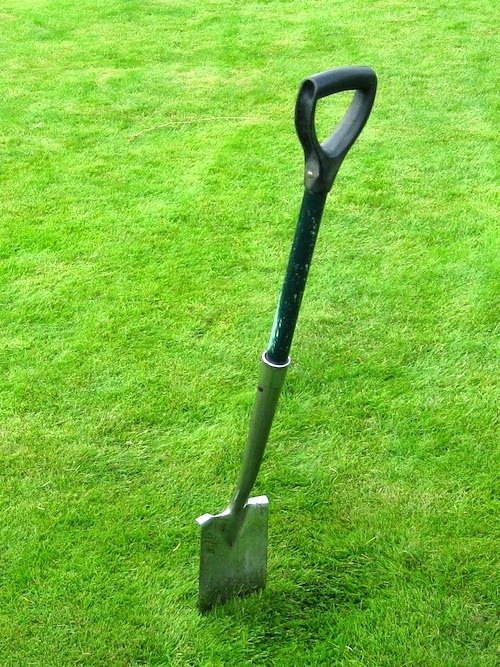 Gardeners do not understand compaction. Nor do much of the horticultural world! 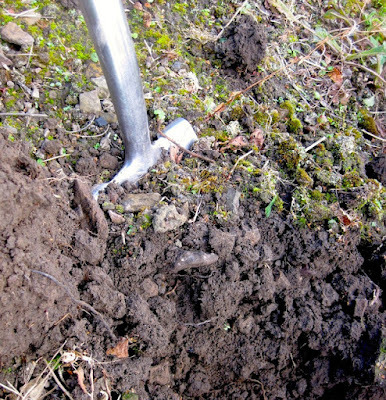 Compaction occurs when loose soil is compressed when wet. It occurs most commonly as plough or rotavator pans but also anytime when wet soil is driven on by heavy machinery. 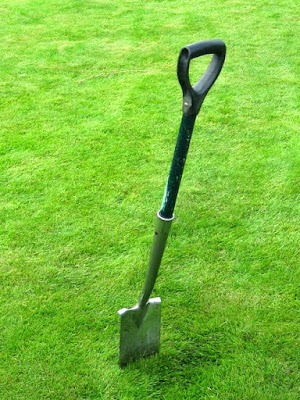 Clay soils in gardens are the most adversely effected by compaction which is caused by the gardener walking on loose wet soil or worse cultivating wet soil. Compaction should not be confused with the settling of a soil to a natural density. All my no dig gardens gardens have soil which is firm and cohesive to walk on and unharmed by normal compression. Even when wet. When examined (with a spade!) they are honeycombed with channels and spaces made by roots, natural cracking and worms. Their drainage and aeration although as always limited by soil type and site conditions is superb. If further disturbed they break into beautiful crumbs. Of course your demonstration speeds their destruction. 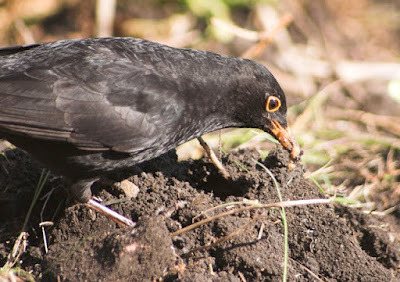 After a few years none dug allotments although similarly firm and settled (no need for silly raised beds) are black with organic matter and as a result of accumulated worm casting make superb seedbeds. I do argue the benefits of planting plants rather than sowing seed direct but for such as carrots I can even broadcast-sow as few weed seeds are brought to the surface by digging. You will know this if you read gardening articles written by apprentice journalists given the gardening column on your local newspaper. It always amuses me that in ornamental borders to give extra aeration you are told to loosen the soil and in effect to chop up the roots. This is no joke in Autumn - especially if your drainage is dodgy - when surface roots are a lifeline when deep roots die in Winter because it is too wet. I repeat if your surface soil is compacted it is a consequence of frequent excessive past cultivation and is not a result of failing to cultivate at all. It is a moot point wether stirring such compaction lets more oxygen get to plant roots. It certainly lets more oxygen into intimate contact with broken up soil aggregates such as soil crumbs. Ergo binding organic matter is lost as it is degraded by oxygenation. I won’t bore you again with the lovely soil structure with it’s own air delivery system and micro-piped drainage that develops when the surface soil is left alone. Plants grow and their penetrating roots infiltrate the soil.The soil receives organic matter from plant debris and root exudates of organic liquids. No-diggers never have problems with poor aeration. It’s the worms dear boy, it’s the worms. None dug soil can be mulched with compost, well rotted manure, bulky organics and recycled fresh vegetation. Nature incorporates it for you. In actual fact as long as nature’s on site organic products of photosynthesis are recycled directly or indirectly as compost after several years of none digging the soil will be black with organic matter without importing any organic matter at all. 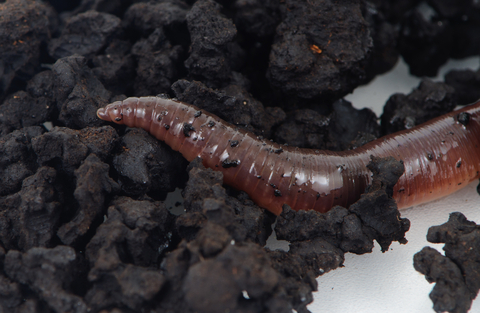 It is a common delusion that gardeners need to improve their soil by buying in organic matter. In truth they are often replacing the organic matter they have destroyed or taken away. That is not to say that gardeners converting to no dig cannot speed up the process by mulching with imported bulky organic materials. Sorry about the pun. ‘Dig in’ to these articles at your leisure! You always come up with a great angle Sarah! I sometimes quote it as an advantage of no dig that nests such as various types of solitary bees are favoured. Not sure about ants, although I think they might sometimes be more of a problem when some of the digging has been done for them. Touch wood, so far I haven't had an aphid problem! Perhaps I'm lucky and the eco system is healthy enough to limit their numbers? I believe it is only one species of ant that farms aphids. 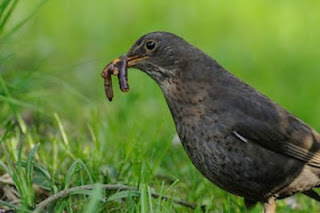 According to antnest.co.uk "on the whole they like to eat soft-bodied mites, insects, the larvae of various flies and beetles, and springtails" so not such a nuisance after all? I was in company recently and someone asked "what's the purpose of ants".I cringed! Have they never heard of evolution? Thanks for your insights Sarah.It is fascinating what a none problem aphids are in an ecologically balanced garden! The purpose of ants is to be dinner for green woodpeckers! If your readers wish to see another garden established with no dig Our Garden@19 was all lawn when we bought the house. I marked out the borders sprayed the grass with glyphosate then planted direct into the dead turf. All the plants were moved from our previous garden and all thrived. Compost was added to the planting holes. Why make more work than you need to! Thanks for the link to your blog Brian. (click Brian Skeys) it might be easier for readers if the link went to the actually page. I have three very fine Dahlia coccinea raised from the seed you sent me this Spring and sown in my unheated greenhouse. Thank you- i have mislaid your private e mail! I thought the link went to my blog, it must be the way Google works! I am pleased the seed germinated ok. When people ask me how the organics get into the soil I remind them that no one is digging them in when leaves fall in the woods. I seem to remember from your blog that you have difficulty in persuading your mother about this when you do her garden!